Written by Felipe Azenha & filed in Development Pipeline, Events. Don’t be fooled by the title. 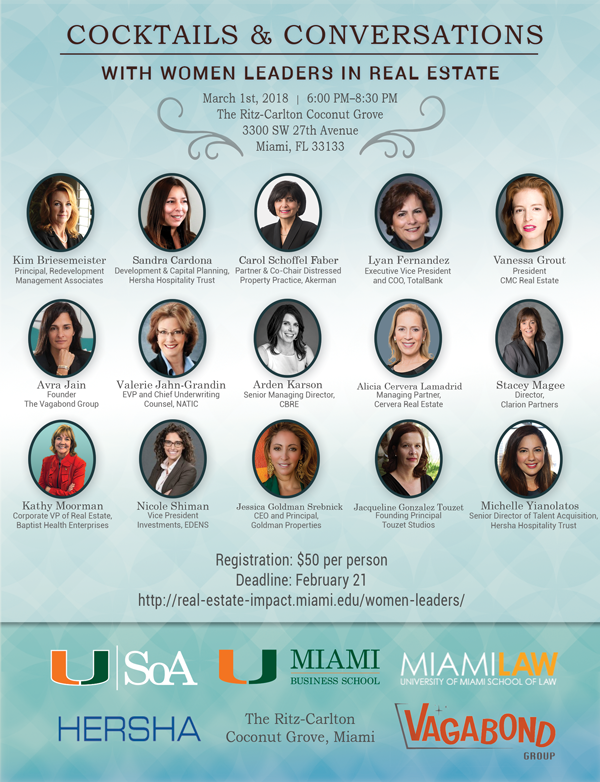 The University of Miami is inviting everyone (women & men!) to their 2nd annual Cocktails & Conversations with Women Leaders in Real Estate on March 1st. Click here to register. Select Women Leaders from the drop-down menu.